Permitting live broadcasts during Oscar Pistorius's murder case will lead to an unfair trial, the High Court in Pretoria heard on Wednesday. Barry Roux SC, for Pistorius, argued that media activities in court would have an effect on several aspects of the paralympian athlete's trial. "Why can't this be like any other trial? Why is he different? Is it because he ran fast on the track?" Roux asked in court. "Does it mean that if you are a well-known person there has to be an infringement on your rights? I am talking here about his [Oscar's] rights. Should we allow a potential infringement of his rights because of his profile?" Gauteng Judge President Dunstan Mlambo reminded Roux his client was a public figure. 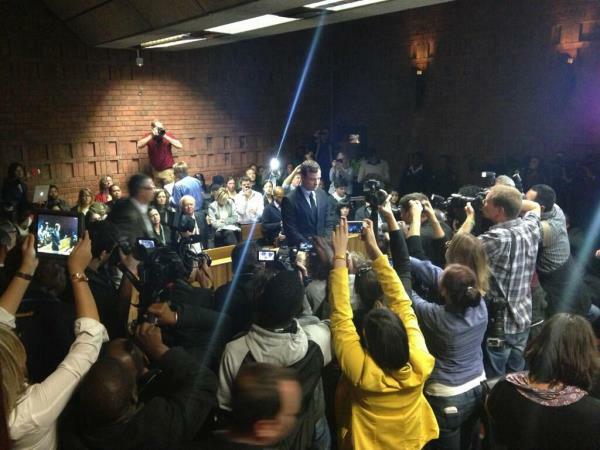 He asked Roux to show the court how the media's presence would jeopardise the case. Roux said: "It is different to know that there are journalists listening to you, because there are always people in the public gallery, than to know that your voice is going the world over?" Pistorius's legal team wants the court to ban recording and broadcasting of witness testimony. Roux said lawyers for Reeva Steenkamp's parents had not been informed about the National Prosecuting Authority's (NPA) consent to the live broadcast of the trial. He cautioned the court not to allow a criminal case to run simultaneously with a "media trial". The application to film the proceedings was brought by news channel eNCA, joined by print media houses, MultiChoice and Eyewitness News. A 24-hour TV channel dedicated to the trial would be launched on DSTV on March 2. The NPA on Tuesday said it would not oppose the application, although NPA spokesman Nathi Mncube said it did have a number of conditions. He would not elaborate at the time.